Ever since it was founded in 1992, the family-owned business Creative Castles, Inc. has specialized in building luxurious custom homes, and has been devoted to making the satisfaction of their customers the number one priority of their business. Surrey Ewing and his wife, Susan, are dedicated to building lasting relationships with their homeowners. 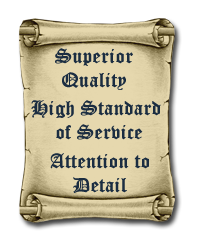 Their expert knowledge and integrity is the foundation on which Creative Castles, Inc. has built a successful business. Our commitment is to you, the homeowner, to ensure the highest level of customer satisfaction. Nothing is more personal than your home; it is a unique reflection of your individual taste, personality and lifestyle. When it is time to build the home of your dreams, choosing the right builder is essential. You can be assured that Creative Castles, Inc. is the builder with the knowledge and experience to transform your dream into a reality.